Christmas brings with it a lot of fun and joy. It is a time of family and of giving and a time to remember the birth of Jesus and all that the miracle of his arrival meant to the world. These are all good things and Christmas is meant to be a positive experience filled with peace on earth and goodwill to all people. But it can also be a time of extreme stress and frustration as the need to shop, prepare meals, entertain and organize gifts suddenly means that you have no time left in the day. It’s ironic really that at a time when you should be spoiling yourself and others that you are stressing out so much that you need a holiday to get over the ‘holiday’. If you are the type of person who stresses out at Christmas, then here are a few simple tips to help you navigate the end of year chaos. Buying gifts is one thing, wrapping them is another chore altogether. It is not that wrapping isn’t fun or worth it – it totally is, it’s just that it is a fiddly process that can take up a huge amount of time. This is especially true if you find yourself wrapping peculiarly shaped presents. The solutions here are twofold. The first option is to shop at places that offer a gift-wrapping service. What a pleasure! You buy your gifts, ask the staff to wrap them and all that is left for you to do is to write a card and leave them under the tree. Option two is to buy clear gift boxes into which you can place the gifts. The joy here is that they are regularly shaped and easy to wrap. Putting paper over a cube or a rectangle is easy, it is when the gifts are malleable to awkwardly shaped that it becomes a real chore. Spread your Christmas shopping out over the year. 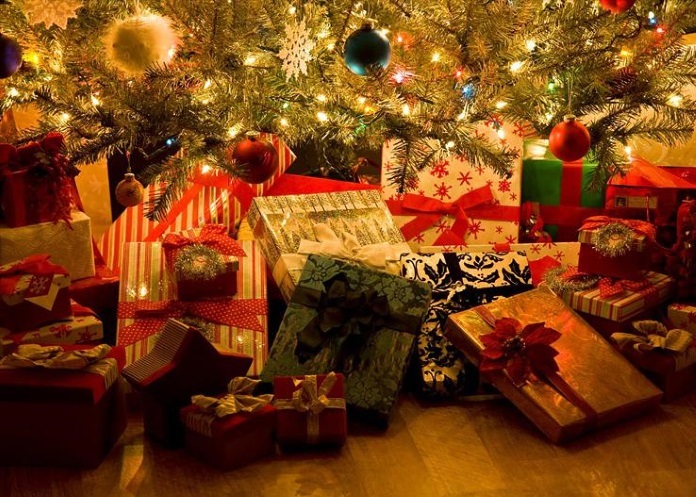 If you buy a few gifts every month from around June, you will discover that when December rolls around that there is no need for panic or alarm. Spreading things out over the year is also a whole lot nicer for the pocket as you don’t find that you have to shell out for all the gifts at the same time. This is a real win, especially if you get a thirteenth cheque, as it means there is a whole lot more of it left over for you to spend on yourself. At work you would be absolutely sunk if you didn’t delegate. The same principle applies to the festive season. You must get the whole family involved in the preparations. It doesn’t matter how old or young they are, everybody has the ability to contribute. Be it making food for the actual meal, writing place cards for the table or helping with the shopping or cleaning. If you try to do it all yourself, you will end up exhausted and unable to enjoy the fruits of your labour.